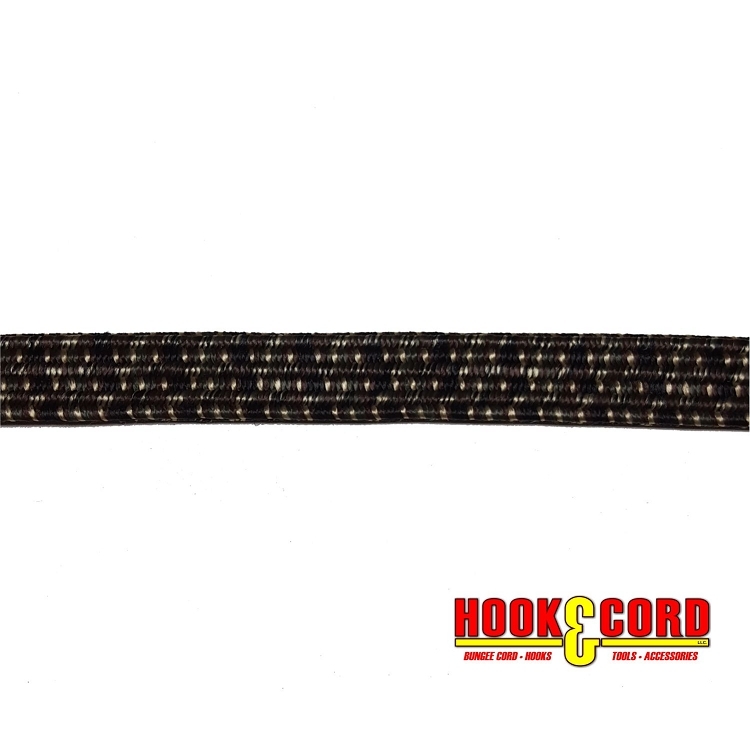 Great quality bungee cord, purchased by the foot, to replace rotted cord. Worked perfectly and looked better than the original. VERY quick shipping from across the country. Packed professionally. I am very happy with this purchase and will be keeping Hook & Cord on my contact list for future needs. I ordered 30 feet of the 5/8 " flat bungee. I asked serveral questions by email prior to ordering. All my questions were answered in a timely manner. I am using this flat bungee to make my own bungee's. The longest I can find anywhere are only 4 feet and I wanted longer. I have told several people about this flat bungge. There will be more orders to follow. Very impressed with the bungee cord and overall performance. About as stretchy as I hoped and appears to be made of very high quality. If your looking for bulk bungee cord, you won't go wrong with this from hook and cord. Q: I was initially buying the black and white bungee cord, but bought the solid black when you were out of the other. 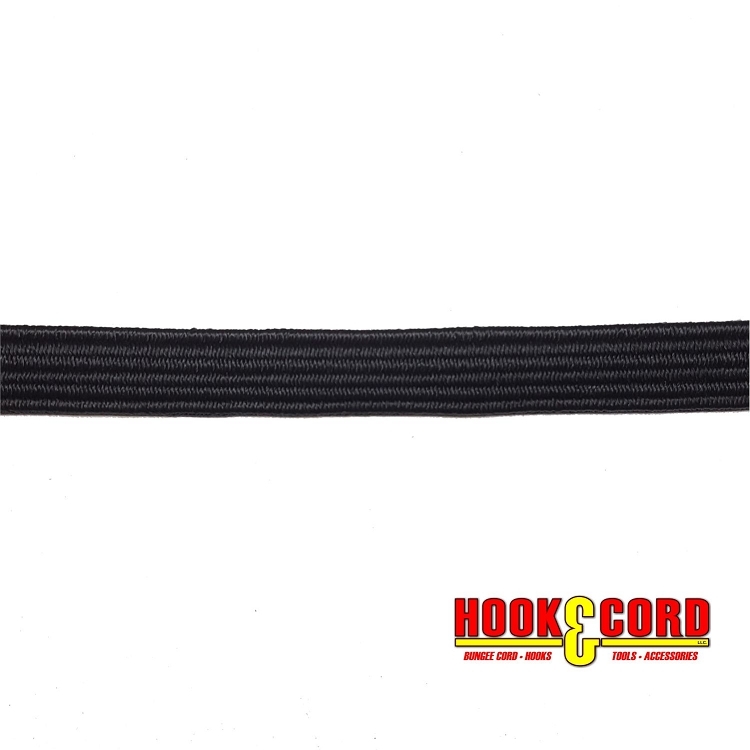 We noticed that the elasticity of the black cord is much greater than the black and white (it is stretchier). This actually works better for us, but I wanted to find out if this is something that will continue to vary in the future or the black will always be this way? We make dog toys from it so when it changes we have to change all our sewing specs. 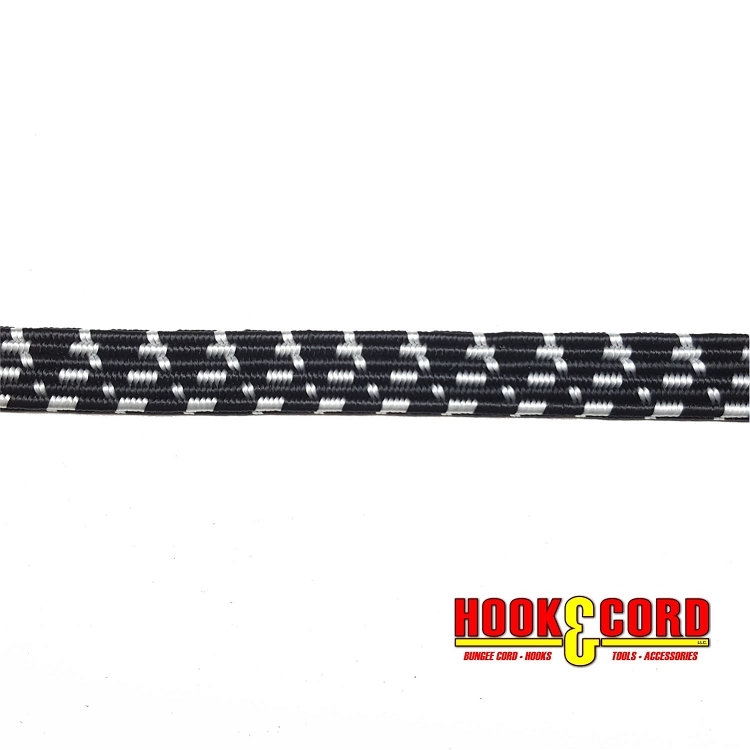 A: The Black & White cord has braid has additional thread than the Black cord. Consistently the mixed colors (Camo, Black/White) have more thread than the solid colors. this happens from the additional thread spools needed to make a mix color. 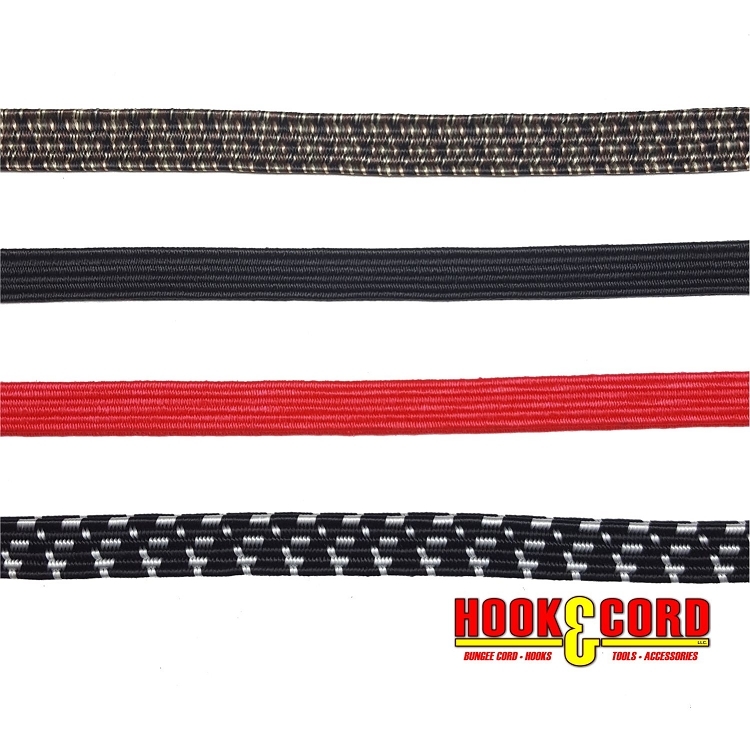 The flat cord by color is pretty consistent. Cords can have up to 20% variance. We try to have no more than 10%. Q: how do I attach various ends to the FLAT bungee?? A: You crimp the ends just like standard bungee cord. Q: Is there a pound rating?